In the north east of Estonia straddling the present day Russian-Estonian (now also the Russia-E.U.) border are the castles of Narva and Jaanilinn (next photo). 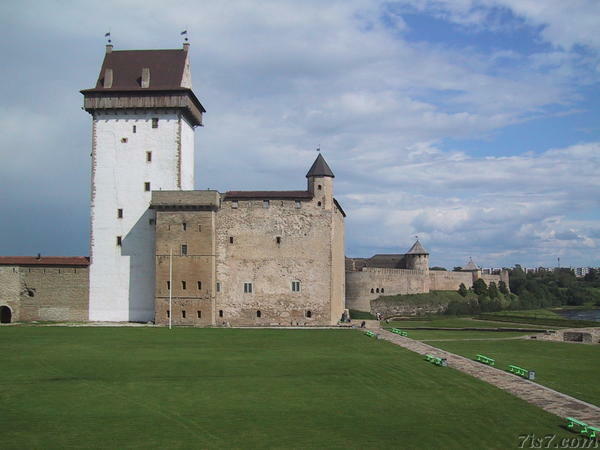 On the Estonian side of the border is the town of Narva and the castle known as Narva's Hermann fortress. Location: 59°22'32"N 28°12'6"E on: Google Maps, OpenStreetMap, Maa Amet.